Congratulations to the crew and cast of Nobody’s River for being selected in Canoe & Kayak’s top 10 stories of 2014! 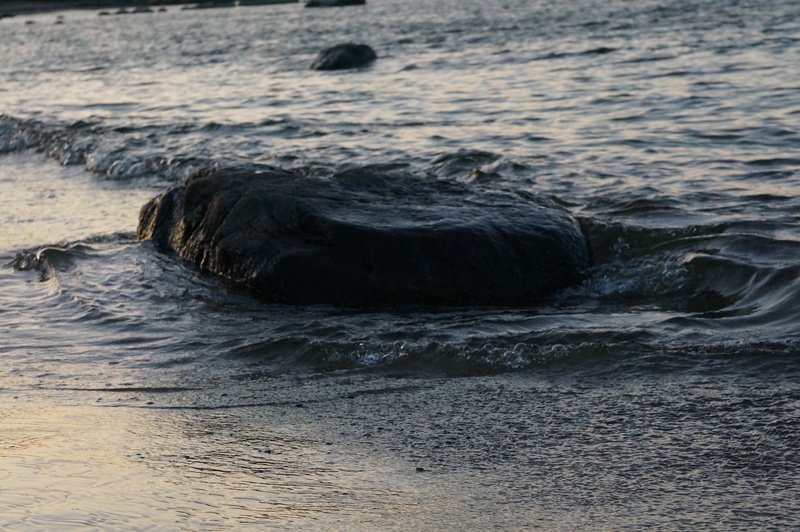 The Amur is one of the last free-flowing rivers of the world. On this epic journey, Amber, Sabra, Becca and Krystle discover raw beauty, industrial wastelands, devastating loss, and unbridled joy. Winner of 5Point Film Festival’s Spirit of Adventure Award, Nobody’s River is being screened at locations in the US, Europe and Canada in 2015. Visit nobodysriver.org for more information on more about the film, upcoming screenings, or to host a screening. 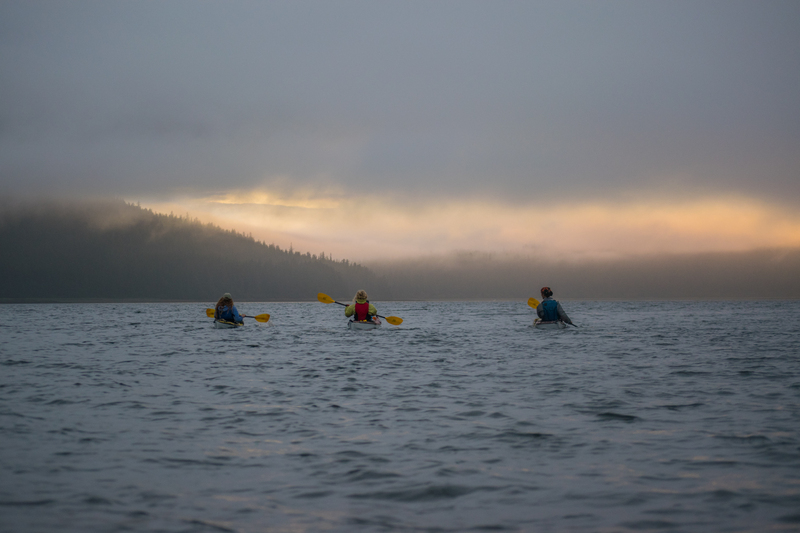 Join TRAK in celebrating a precious piece of earth called the Tongass. We’ve partnered with the Sitka Conservation Society to protect the temperate rainforest that forms a bridge between Canada and the United States. 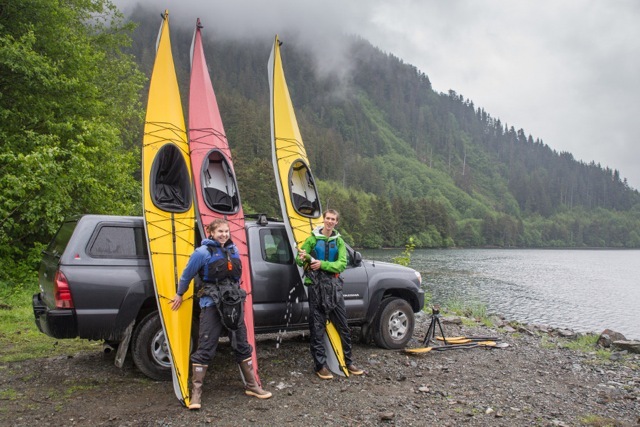 This spring, generous donors rose to a matching challenge, allowing the Sitka Conservation Society to raise the funds to buy a TRAK kayak, and the kind folks atTRAK kayaks donated another three! This allowed us to take four people (the maximum number that fits in a beaver floatplane) into remote Wilderness areas and have kayaks after landing. This summer, we put the TRAK kayaks to the test, using them on five Wilderness Trips to five different Wilderness areas. 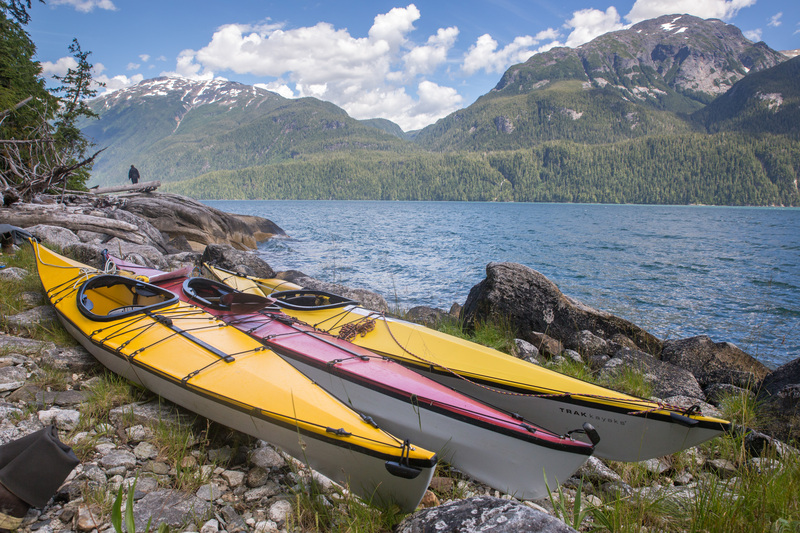 The TRAKs were also used as part of a kids kayak course and were paddled on Mendenhall Lake in front of the Mendenhall Glacier. Mike, Field Biology Intern, is a recent graduate of Knox College in Galesburg, Illinois, where he studied Biology and Environmental Studies. At Knox, Mike became interested in restoration ecology, with his research focusing on the invertebrate composition of reconstructed prairies. He also spent a semester in the Australian Wet Tropics with the School for Field Studies, where he researched the effects of weed-invasion on the seedling composition of second growth rainforests. Last summer, he interned with SCS as the Conservation and Restoration intern and was first introduced to the beauty and wonder of the Tongass National Forest. He is excited to be surrounded by Southeast Alaskan ecosystems once again and be able to spend quality time in designated Wilderness Areas. Mike enjoys hiking, bird-watching, reading and identifying insects. 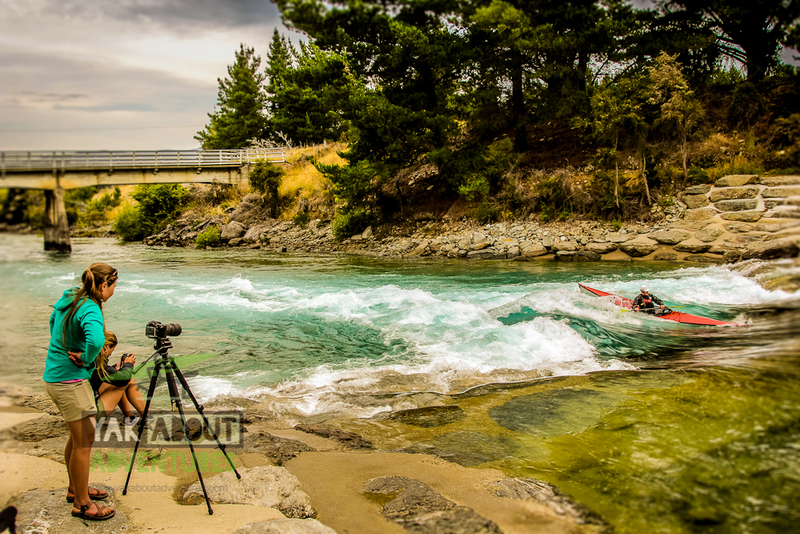 I have recently returned from an amazing journey in my homeland of New Zealand and, as it often is with my journeys, the trip was orientated around kayaking and filming. 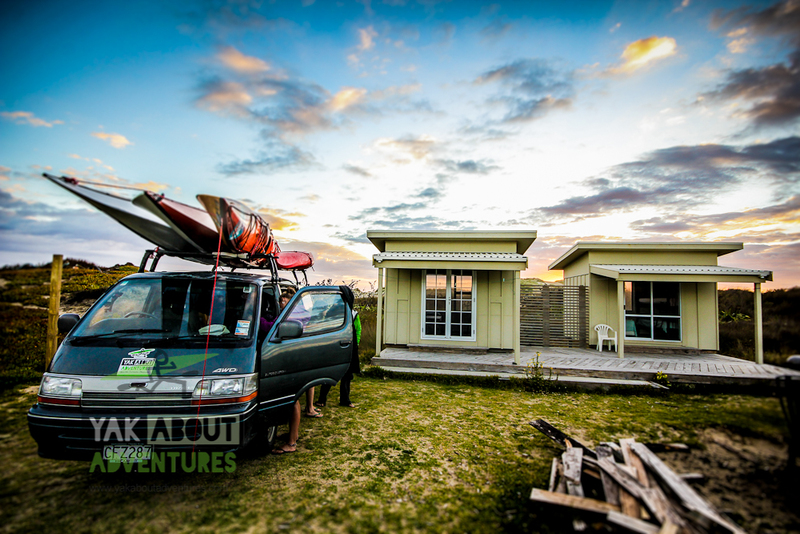 My goal on this trip was to explore the paddling destinations of NZ and interview the paddling characters we meet along the way. 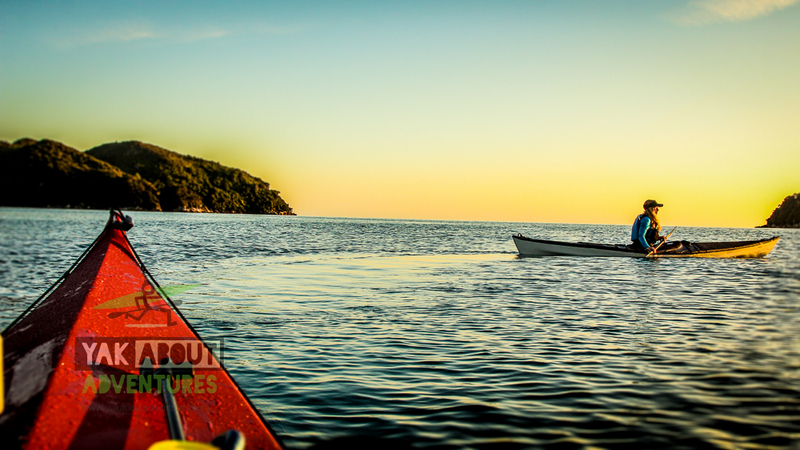 This trip embraced white water and sea kayaking and was a totally new angle for a project of mine. During half the journey I was joined by three lovely and charismatic women and all four of us, our gear, four sea kayaks and a whitewater kayak were jammed in a 4WD van, and that was the recipe for an adventure worth remembering. To help complete this mission we had on board an array of awesome sponsors, one of the biggest being TRAK Kayaks. The Seeker kayak by TRAK was perfect for this project, a project where transportability, durability, and adaptability were key. The Seeker kayaks are tough, they are fun and playful for ocean surf, and we could tour out of them….. and of course we could store them either in the back of the van under the bed in their golf bag, or on top of the van lashed to the roof racks with the other kayaks. Despite us all flying into Auckland at the top of North Island, we didn’t all meet up with each other until we all arrived in Wellington at the bottom of the North Island on New Year’s Day. From here we had two ferry crossings and a lot of driving before we started our first kayak journey on the amazing Stewart Island at the very southern end of NZ. 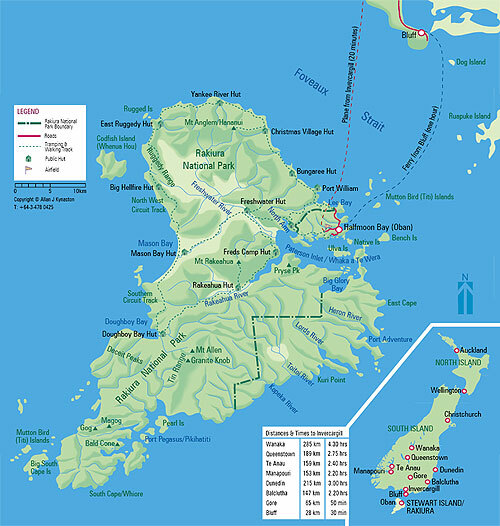 Stewart Island is the third main island of NZ and is found in the roaring 40’s, a latitude that is legendarily unforgiving, in a direct line around the world there is nothing to stop the winds and ocean swells on their journey except the southern tip of South America and then Stewart Island. Despite this (though more likely because of this fact), Stewart Island was a wonderful wild area to explore. We stayed within Peterson Inlet, a large reasonably sheltered inlet directly linked to the only town ‘Oban’ in Halfmoon Bay where the ferry drops you, and we enjoyed 5 days of kayaking, fishing and exploring. The weather was formidable and yet allowing. Our first day was hampered by 50 knot winds that built up in the afternoon, and after a night hunkered in a boat shed, the rest of the time was a mix of sun and sprinkles. One of the coolest parts of this inlet is that you can paddle and stay in backcountry huts the whole time, and you get to paddle between different environs; tidal rivers, mud flats, rocky shores and pocket sandy beaches. Seafood is a plenty. I was even able to catch abalone from the rocks while sitting in my kayak… and it is home to some of the few remaining Kiwi birds left in the wild. Our time in Stewart Island was soon up though the rest of NZ beckoned. 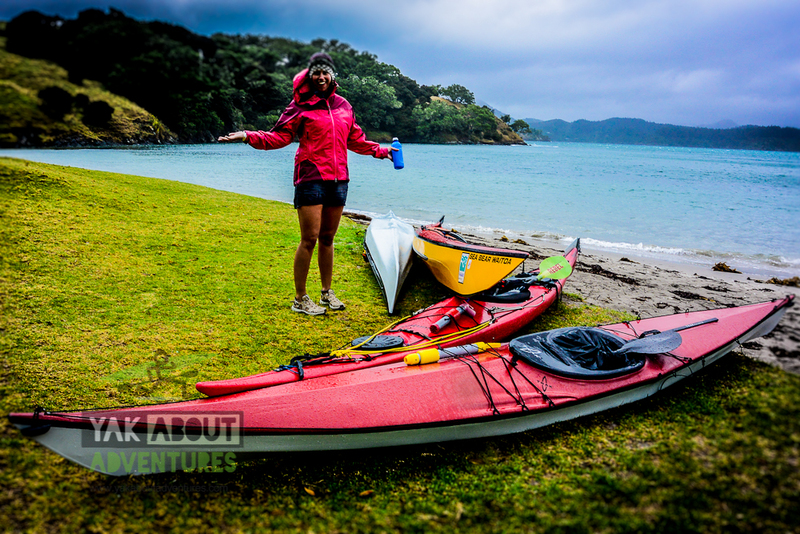 Paddling up a river on Stewart Island to yet another hut to sleep at. New Zealand Abalone or “Paua” are everywhere on Stewart Island. There are many stories beyond this point, and they are far too long for a blog, so I will sum it up a bit from here on in. A rare sunny day paddling in Milford Sound. From here we headed to some of the most stunning places on the earth and I will only talk about the ones that applied to kayaking with the TRAK Seeker here. Pushing through the mountains in a fully loaded van, we tucked into the southwest coast of the South Island, deep into the fjord of Milford Sound, with its crazy kayak guides, crystal blue whitewater rivers and huge snow-capped peaks, which are almost always blanketed in rain (except for our two days there). We had an amazing time made some new friends and again where sad to be leaving (as the theme so quickly became for every spot). Then we headed inland to Queenstown and Wanaka to paddle rivers, and here I found the Hawea wave, a man made standing wave on the Hawea River, that the Seeker just loved. And after a week or so of white water exploration we headed to the world-famous Abel Tasman national park and its golden sands and crystal waters. 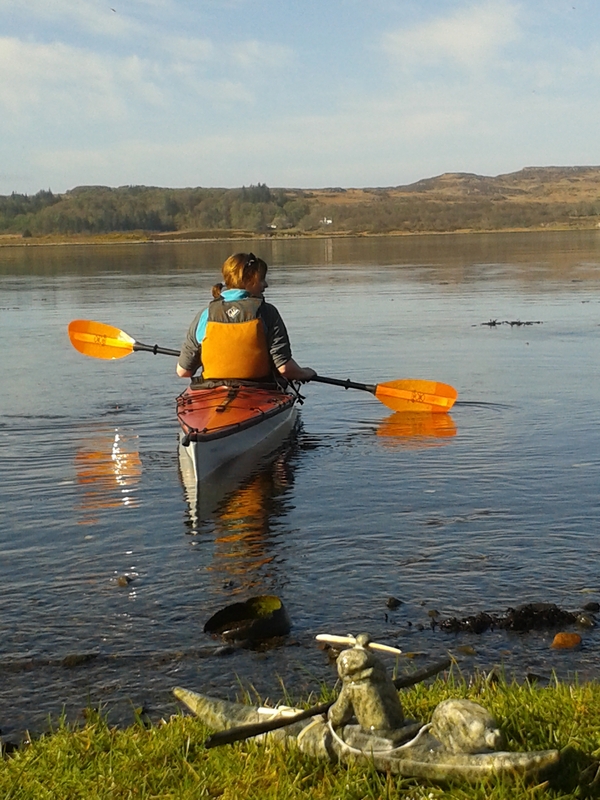 Here we spent our last 4 days together and really enjoyed the freedom of our kayaks. 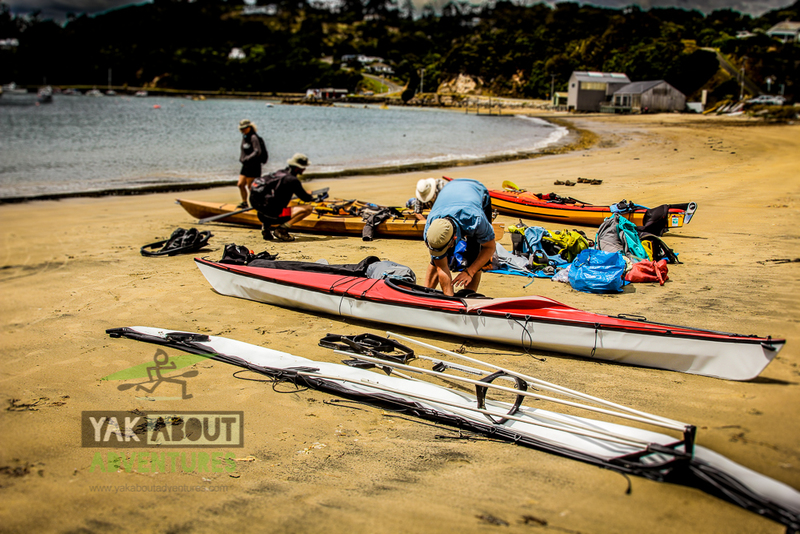 With a mixed bag of hardshell boats and the folding TRAK Seekers it was fun to compare, though at no point were the hardshells at an advantage over the TRAKs. Leaving the South Island I said goodbye to half the crew and then headed all the way back up north to Auckland where I picked up a couple of clients from Australia. 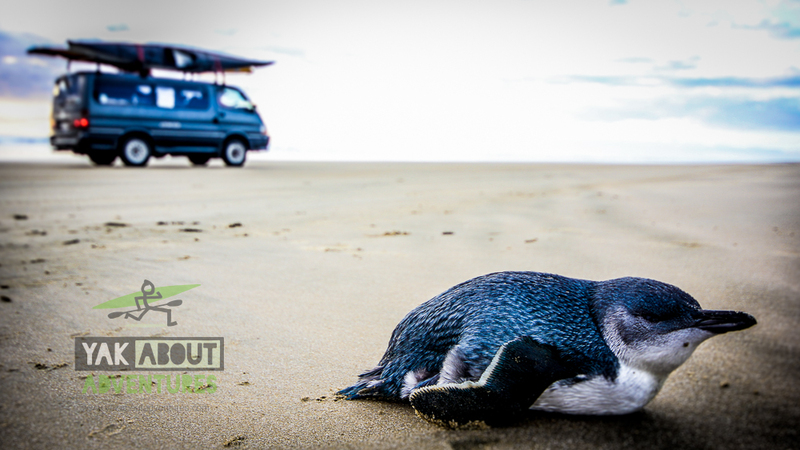 This part of the journey was to take us to the wild northwest coast and the northern most point of NZ, Cape Reinga. 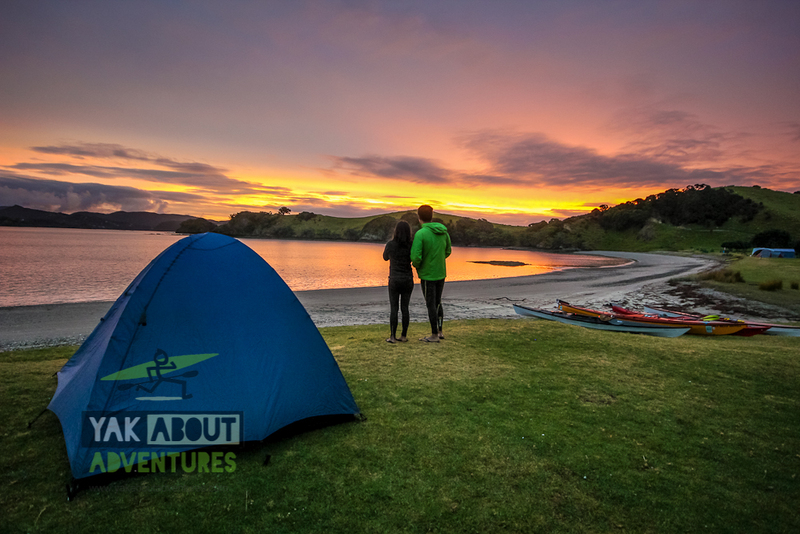 Though we had lots of fun with wild camping along the beaches, there was little kayaking until our direction turned south again and we ended up in the bay of islands. Sunset before the storm in the Bay of Islands. In the bay of islands we loaded up the kayaks at the end of the road, and while the car was watched by a friendly local “parking warden” for three days, we all headed out into the islands. Last time I visited this area we were blessed with sunshine and warm waters, this trip despite the similar start, was not destined to be that. After a lovely evening and a stunning sunset, we awoke during the night to storm force winds and torrential rains, we had known there was weather coming, but the forecast was not ready for this either. So instead of kayaking and exploring the islands in calm sunny waters, we ended up walking our island in the stinging rain, and when we got back to camp we found the wind had been strong enough to blow the TRAKs on top of one another! 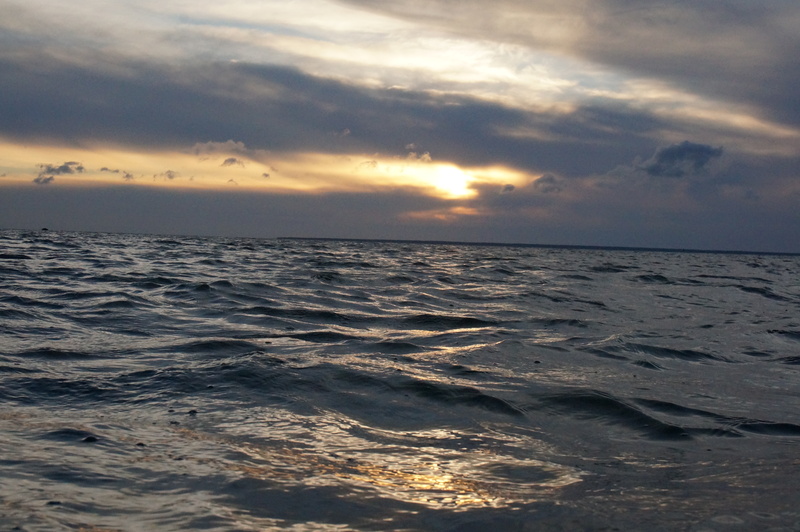 On the third day, there was a weather window and we made the short hop back to the van across a choppy channel, the Seekers paddling strong the whole way. Half loaded boats blown atop each other by strong winds. 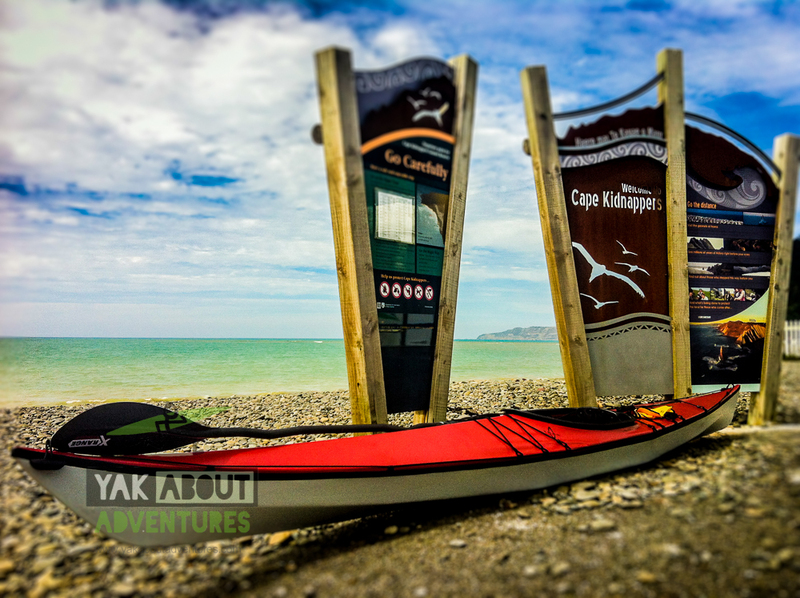 The North Island section of this trip became more about whitewater than sea kayaking, though one last adventure I had in the TRAK was paddling out one morning, alone, along a stark and beautiful piece of coastline “Cape Kidnappers” or “The Cape”. Sometimes it is easy to forget why we do something as we strive to do it well, especially “I find” when we strive to capture it on film or video. This day I needed to get away from cameras and forced myself to go kayaking without them (this rarely happen these days, especially on a kayak filming project). It was great to get away from the technology. As the beauty of the cliffs sunk in, I was guilt-ridden to not be trying to film these moments… however… I had to let it go as I had not brought the cameras, and yet the thought returned when I found a great reef break that was forming up and I had the chance to surf. Again waving off the thought, I found simple pleasure in surfing the small feature and timing the waves that broke across the shallow shelf …without camera’s I simply “had” to embrace the joy of the moment, all alone on a stark coastline….this of course was not a chore as it was some of the quintessential things that I love about kayaking. 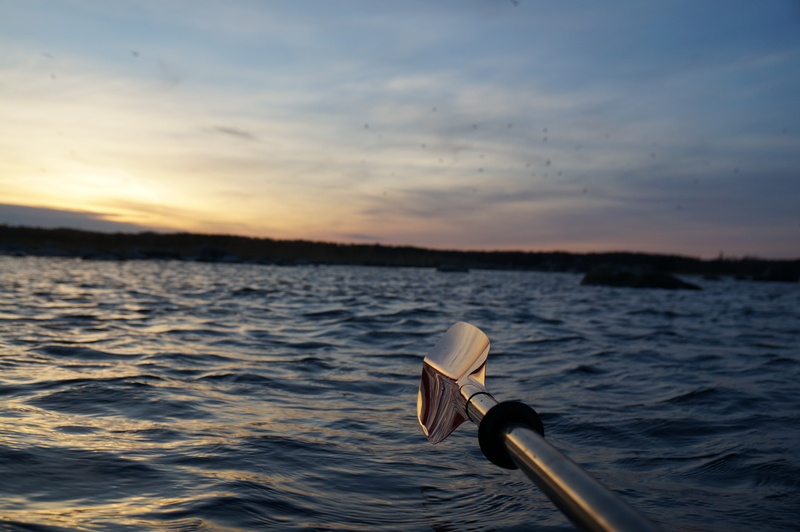 Joy often comes from the simplest things, and ultimately kayaking is a very simple and primal activity, other than swimming, not many other water sports allow you to simply enjoy and be on the water, the sights, the sounds and the fitness. Here I was surfing some of the smallest waves… though laughing and smiling ear to ear; if my cameras were with me I would have been fussing about how to capture that moment and ultimately not living in that moment. On this day I decided to embrace the journey by kayak without camera, as 200 foot sedimentary cliffs loomed above me, with eroded walls that looked like a giant tiger had clawed away at them (yet is just weathered by rain and wind), and I found myself remembering the simple joy of why I love to paddle. I found another long reef break which broke perfectly along a deep shelf predictably, a perfect long boat wave…….. and?…. Well I guess you had to be there! 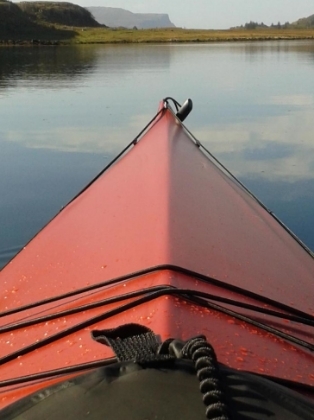 I had planned a one hour paddle with the theme “I should get out on the water I guess” and it turned into a 4 hour ” I am so pumped about life and kayaking” Just paddle… it’s as simple as that. This day reminded me “This is what this film project was all about”, the pump that is life and how people express it through paddling… this is also what TRAK kayaks is about and I am stoked to be involved with a product and a company that helps me fulfill not only my joys in life but also my dreams. Read more about Yak About Adventures on the blog at http://www.yakaboutadventures.com and stay tuned for more from Jaime Sharp and the how the project progresses. At TRAK Kayaks, we are setting some amazing journeys in motion and are equally blessed by the incredible people and experiences that are seeming to show up at a rampant pace. 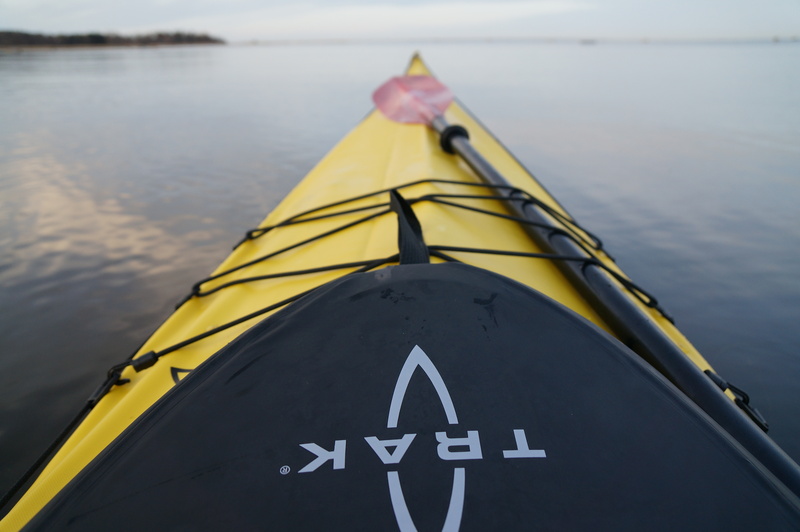 When we launched our Seeker ST 16 kayak, we knew it was time to honor the roots of the kayak. We contacted some of our connections in the north and found a couple Inuit artists to commission original carvings of the early Inuit kayaks and their brave warriors that set out into the frigid waters to provide for their families. (there are still some available!) This is the start of a long relationship we intend to create with some communities in the Iqaluit and Cape Dorset region of Canada’s Eastern Arctic. 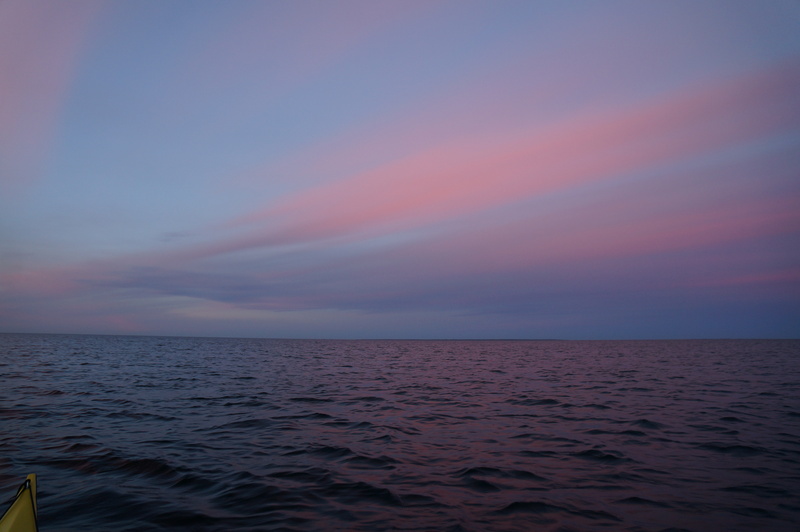 “This morning the God of New boats had blessed us with idyllic conditions… and so we baptized our hunter in the seawater of his new home. She has now been invited to paddle her in the Bay of Naples, Italy. Now that the baptism is complete, the journeys will continue, and we wish her the experiences of a lifetime as she seeks forward. Canoecopia is a very well-run and well-attended paddling expo, and it’s held in Madison, Wisconsin! 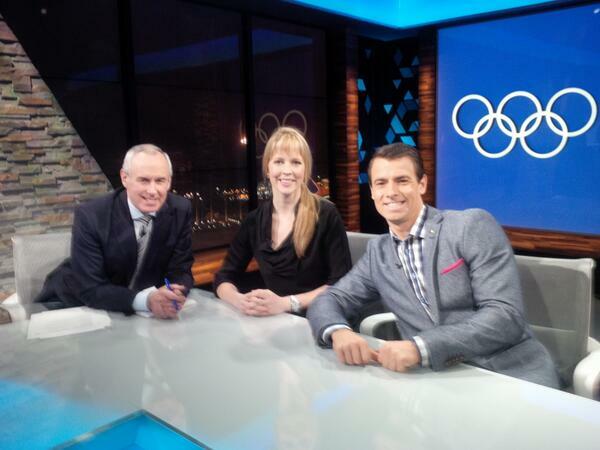 Darren and his team run one of the best events of its kind in the world. The staff from Rutabaga are about the friendliest, most helpful people to run into! This show is the world’s largest paddling expo. Over 20,000 paddlers attend, over 150 exhibitors bring products, and well over 100 seminars educate and inspire, which is part of the core mission of Canoecopia. Ok, are you coming? TRAK will be there! Stop by Booth #L20 and see what’s new for 2014 and check out the show specials and get inspired by unique TRAK Tours. Check out the video below of some Canoecopia action in and around the TRAK booth at the 2013 show. 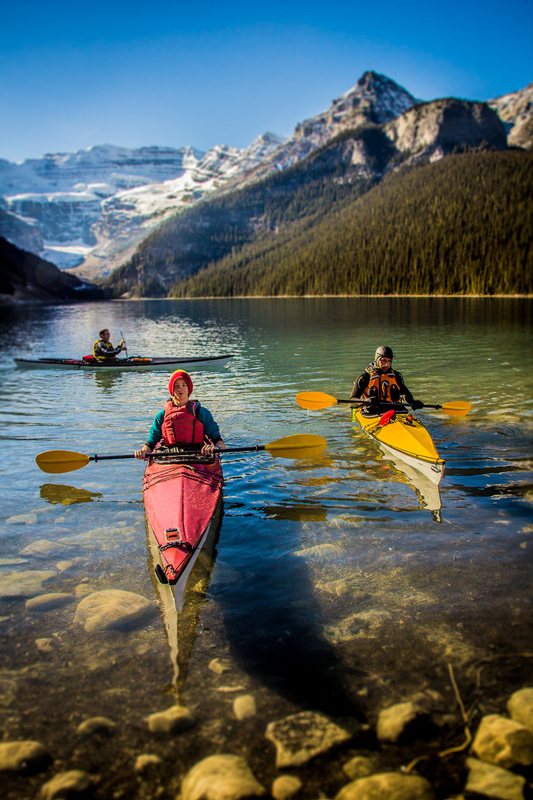 We will demonstrate our 10 minute set-up throughout the weekend, and discuss how the perfect kayak for you can help unleash your life on and off the water!